Another day, another serum. But this isn’t just any old serum: it’s, quite literally, the perfect serum for acne-prone skin. I’ve been using it for over a month and, not only has it not made me break out, it has actually cleared up my existing congestion. 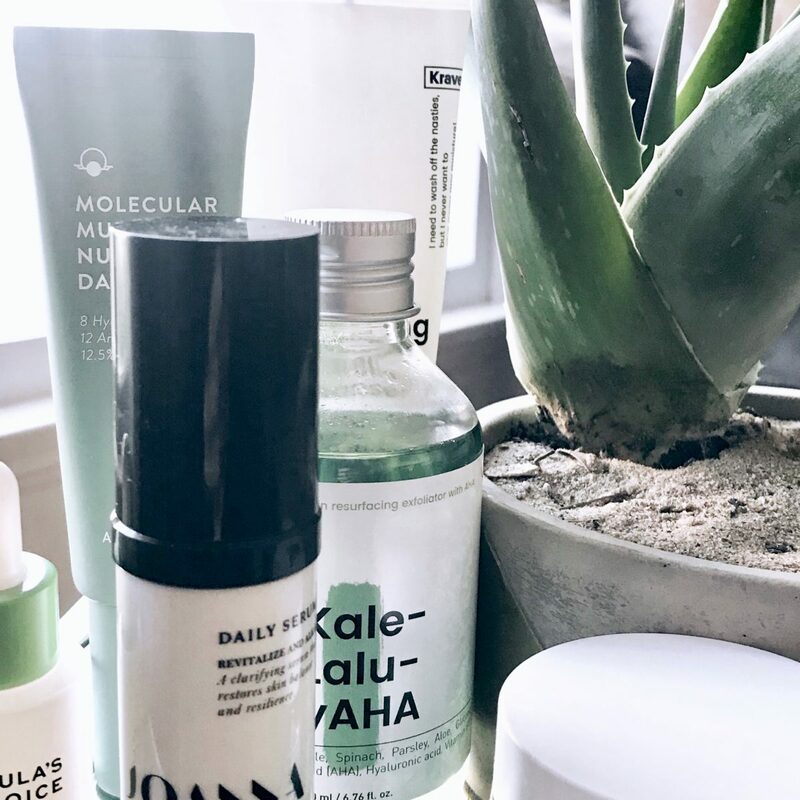 Granted, I use several products to achieve acne-free skin (double clap for a retinol), but the endless cycle of products that clear congestion yet dry out the skin usually ends with…you guessed it…more zits. The Joanna Vargas Daily Serum clarifies, adds non-oily moisture, while also injecting your skin with serious antioxidants to protect and repair. This multitasking serum speeds cell turnover, reduces hyperpigmentation, and improves overall texture. The green color reminds me of a shot of wheat grass (but for the skin! ), while the scent is faint and a bit sweet (which I love). One pump will do the trick; I prefer using it in the morning so that the glow doesn’t go to waste. I find this serum to be one of the most refreshing and replenishing that I have tried. My skin yearns for it, soaks it up, and always looks more even-toned after usage. I use it every morning, post-wash, pre-moisturizer and sunscreen. For acne-prone skin that wants to target anti-aging, this is a necessary addition to your skincare regimen. It’s face-changing. Stock up!